The state of Nevada is mainly known for being home to Sin City, all that comes up to mind may be casinos, money, women, party and breath taking luxury. Although that is not entirely a lie, Nevada has much more to offer as a state to any adventurous new comer. Nevada is the in the top ten most extensive states in the nation and least densely populated, it also ranks 35th in most populous. Most of the state’s population is concentrated in Clark County, where three of its major cities collide. The city of Las Vegas is commonly mistaken as the state’s capital; however, the capital is Carson City. The main reason why Nevada’s state territory is highly non-habited is because of the type of land it offers. Most of the terrain in the state is mostly desert and semiarid. The United States Government owns over 85% of the territory under military authority. Nevada is home the famous Mohave Desert and Great Basin, places where the highest temperature records are found in the country. On the western side of the state you may also find Lake Tahoe and part of the Sierra Nevada Mountains. The name Nevada derives from the Spanish meaning “snow-capped mountain range”, named after the Spanish took over, later surrender to Mexico. After the Mexican-American War in 1848, the United States claimed the territory and Nevada became part of the Utah Territory. In 1859 the discovery of silver at Comstock Lode gave birth to the Nevada Territory and it became independent from Utah; 5 years later Nevada was incorporated as the 36th state to be part of the United States. Although Nevada is part of the United States and abides by the laws of the constitution, the state also abides by inner laws that make it like no other in the country. In 1931 Governor Fred Balzar signed a bill that made gambling legal within state borders, giving birth to Pair-O-Dice Club, the first casino to ever open on Highway 91, which would later be known as Las Vegas Strip. Surprisingly, the idea for casinos comes far back before this law was approved, in 1899, Liberty Bell, the first slot machine was created by Charles Fey, this device would be the model to follow for later developments into the world famous Vegas Strip and worldwide gambling empire. Although casinos and gambling is what Nevada is mostly known for, tourism to the state is not only about dice and poker chips. Nevada is home the world famous Hoover Dam, once the highest dam in the world. It also is home to one of the hottest places in the country, the Death Valley, a famous place for Wild West movies. One of the country’s greatest mysteries also lies within the state borders, the ancient Area 51, a top secret military base that is most commonly associated with aliens and extraterrestrial life. Nevada is also the biggest gold production factory in the country is ranks 2nd worldwide. The state is also popular for the amount of hotels it houses, it has more than any place in the world and it is home to some of the biggest. For these and many other reasons, Nevada plays a huge part in the car transport industry, although most of the movement is through Clark County only, the amount of movement brought into the state and out compensate for the lack of movement elsewhere within borderlines. As mentioned before Nevada is home to major movement thanks to Sin City. Because Las Vegas is related to money, gamble, luxury and overwhelming power, it is home to some of the country’s and worldwide major car events. Incredible collections from classics, sports cars, luxury, concept cars, prototypes and more are brought in to Nevada for showcase to awe the eyes of anyone who gets to see them. These breath taking beauties are transported from all over the world by their proud owners to expose them to world. 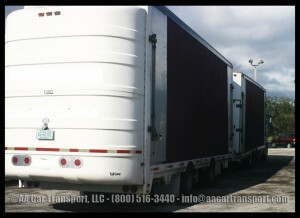 Cars are transported into the state not only for showcase but for selling purposes. Nevada has one of the biggest car auctions in the country and it runs over thousands of cars every year to auction. Car transport is in incredible high demand to bring all the vehicles in and also to ship them out by the lucky winners. Because Nevada is mainly desert and dry land, exposure to dust and high UV rays are a high probability. While transporting a car through this type of weather it is very important to take extra precautions to transport your vehicle. Most of the vehicle movement that happens in the state is for classics, sports cars, luxury and high end models that need extreme protection as costs to repair any scratch are much higher than the cost of enclosed transportation. 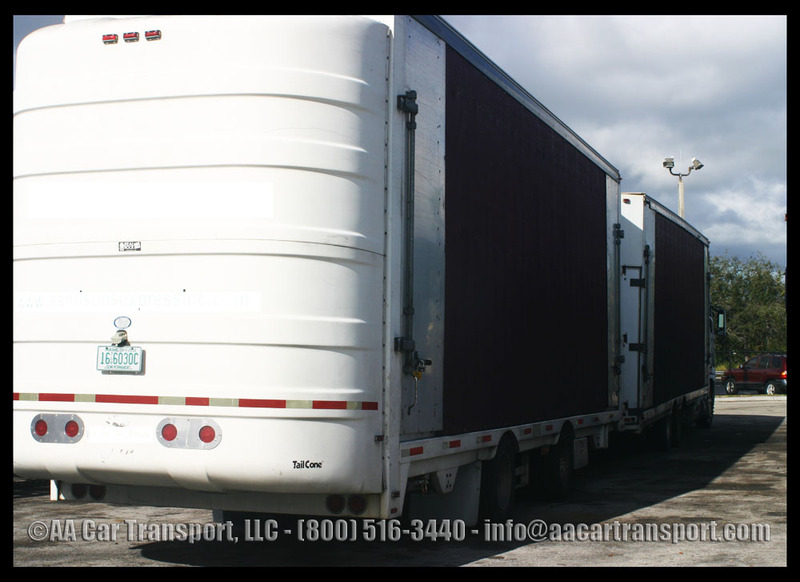 Enclosed car transport offers maximum security for cars, while transporting inside a metal carrier or with canvas walls. Drivers are known to be the best in the industry as they are specially trained to deal with these types of vehicles and insurance policies offer the most coverage. Want to see some fun stuff? Click here!